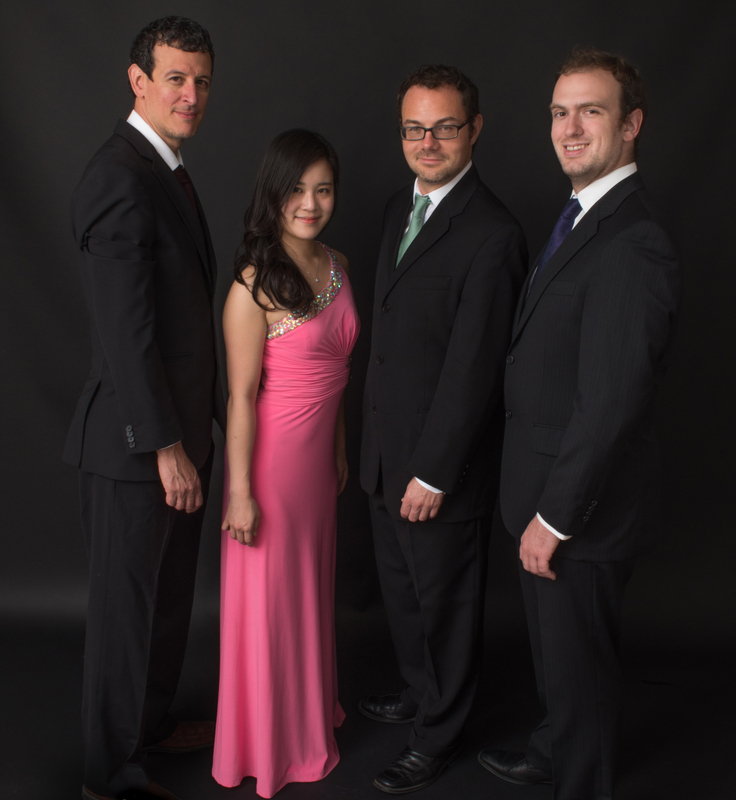 It will be an unusual concert from the usual suspects as the Euclid Quartet will bring not-oft played selections of Johann Sebastian Bach, Wolfgang Amadeus Mozart, Joseph Haydn and cotemporary composer David Del Tedici to the stage of the Louise E. Addicott and Yatish J. Joshi Performance Hall on April 17 at 7 pm. This will be the final concert of the season for the quartet, with tickets available at the Box Office and through arts.iusb.edu for $13-$15. “We’re actually doing unusual pieces within the composers,” says Euclid Quartet violinist Brendan Shea. Audience members can look forward to a program featuring Haydn’s Op. 76 No. 6, Bach’s Art of the Fugue for string quartet, Mozart’s Adagio and Fugue, as well as a movement from Del Tredici’s String Quartet No. 2. Haydn acts as the bridge between Mozart and Bach, according to Shea. “Del Tredici is a contemporary composer who is not too crazy, but we thought it would be a really interesting contrast,” explains Shea. April is Bach Month, celebrating the composer’s 333rd birthday. Bach’s works were a natural choice for the performance. The Euclid Quartet consists of Jameson Cooper, violin, Brendan Shea, violin, Luis Enrique Vargas, viola, and Jacqueline Choi, cello. The quartet is planning on eventually recording all six of the string quartets from Haydn’s Op. 76.